Here’s today’s medal. . .
Marathon #4. 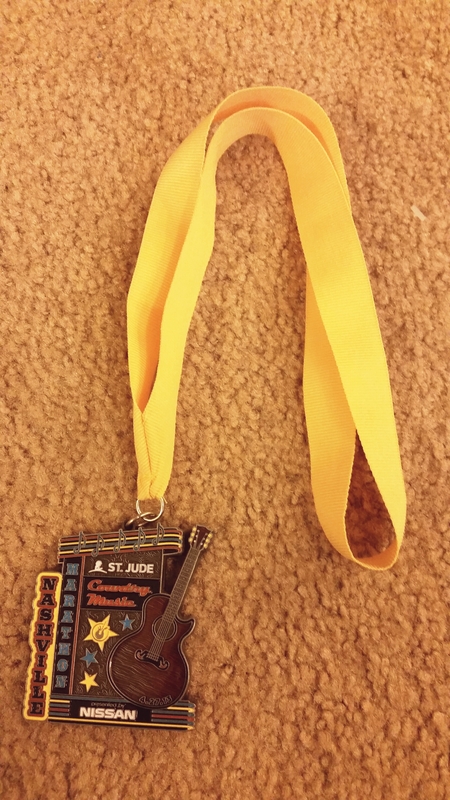 I set a huge new PR at this race, taking my 6:24 down to 5:06:24. It was an awesome hilly but rainy race. It rained for the first 4 hours and I figured I was already soaked, so I might as well have some fun! I splashed through puddles, “flew” like an airplane around corners, and generally just acted like a kid. This PR still stands, but WILL be going down in my fall marathon this year.